A fortnight before the official defeat of the Axis powers on 8 May 1945, Austrian political elites adopted the Declaration of Independence (Unabhängigkeitserklärung). However, Austria did not in fact become independent in 1945; rather, the Declaration only acknowledged Austria’s separation from Germany. 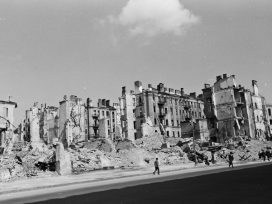 Austria continued to be occupied by the Allied forces (Soviet, British, French and American) until 1955. That year, Austrian political elites and the occupying forces signed the Austrian State Treaty (Österreichische Staatsvertrag), which re-established a free, democratic and sovereign state, and the occupation was over. Thus, it was only in 1955 – a decade after a formal declaration of independence – that Austria became truly independent. 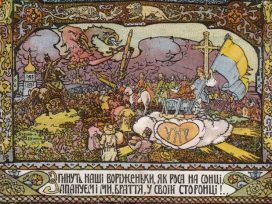 The Act of Declaration of Independence of Ukraine, adopted in a state akin to automatism after the peaceful demise of the Soviet Union in 1991, can be compared to a time bomb as far as Ukraine’s true independence and freedom is concerned. Ever since the formal Declaration of Independence, Ukraine has remained occupied. Not by external “allied forces” of any kind, but by the political – or, better, managerial – elites who did and felt very well under Soviet rule and who believed that, from the point of view of their business interests, a formally independent Ukraine simply provided a better environment than a Soviet Ukraine. Political scientists saw the absence of any prominent conflicts in post-Soviet Ukraine in the 1990s as a paradox. It is now becoming increasingly clear that there was no paradox, because post-Soviet Ukraine was an amorphous, apathetic society. Ukraine’s state “independence” just popped up, rather than being a result of a popular struggle for political freedom. It took almost a decade for the Ukrainian people to start protesting against the political corruption of the ruling elites. They only managed to mobilize after the prominent journalist Georgiy Gongadze (1969-2000) had been kidnapped and murdered, and evidence emerged that President Leonid Kuchma might have been implicated. 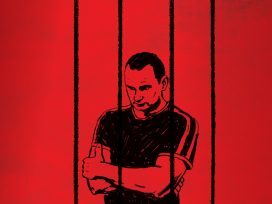 The “Ukraine without Kuchma!” campaign of 2000-2001 was brutally suppressed by police violence and state terrorism, but it is widely believed to have become a precursor of the “Orange revolution”. The “Orange revolution” in 2004 was not a revolution, but a successful mass protest against electoral fraud. But then Ukrainian people idealized, and put too much trust in, president Viktor Yushchenko, who eventually failed to deliver on his promises. The internal conflicts within the “Orange” governing coalition contributed to the failure of the national project, which barely emerged during the peaceful, carnivalesque “Orange revolution”. 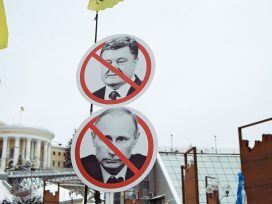 Not only did the failure of Yushchenko result in the election of president Viktor Yanukovych in 2010, but it also had a profoundly negative effect on the willingness of the Ukrainian people to mobilize for any political cause. The opposition did organize rallies, meetings and protests, but they had no significant popular support. Civil society seemed to have withdrawn into itself; many embarked upon an inner emigration or left the country. Social discontent has been growing, but it has taken nine years since the “Orange revolution” for Ukrainians to mobilize once again. The current protests, known as Euromaidan, started with between one and two thousand protesters who went out into the streets of a few Ukrainian cities, most notably Kyiv, to protest against Yanukovych’s decision to suspend the talks on the signing of the Association Agreement between the EU and Ukraine. The protests grew in number, but after the Eastern Partnership Summit in Vilnius, where the Agreement was originally scheduled to be signed, the protesters became desperate and the opposition clearly did not know what to do. But then Yanukovych made a fatal mistake that changed everything. In the early hours of 30 November, the Berkut special police unit violently dispersed the peaceful protest in Independence Square (Maidan Nezalezhnosti) in Kyiv. The police spilled blood and the video footage of the brutal crackdown shocked Ukrainians. Millions of people felt that, on 30 November, they woke up in a very different country, and around half a million citizens gathered on Kyiv squares – angry, outraged and disgusted. Since then, the situation is clear. Civil society felt that the authorities had crossed a certain line, and people just could not allow themselves to retreat. It is no longer purely about the integration of Ukraine in Europe. Ukrainians have finally realized that Ukraine was not truly free and that the Act of Declaration of Independence was nothing more than a scrap of paper. Then Euromaidan became a Ukrainian revolution. – and a revolution against an old Ukraine, for a new Ukraine. 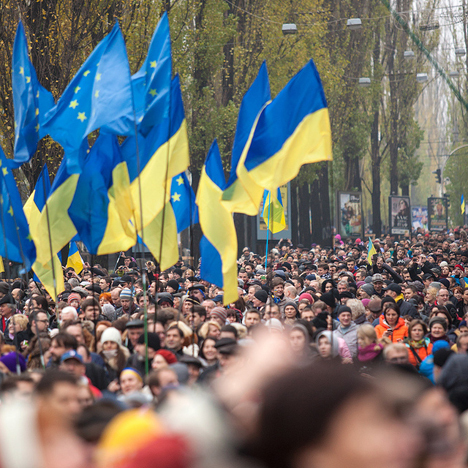 To sum up the many voices of the Ukrainian revolution, civil society wants a truly independent Ukrainian and European nation. And Ukrainians understand that, in order to achieve this independence, they need to completely overhaul the political system. It is hundreds of thousands of protesters who give the Ukrainian revolution its meaning and significance. The power of the current social protests is indeed fascinating. People self-organize via social networking websites and offline; they cook food and make hot drinks, provide other protesters with warm clothes, accommodation, medical assistance and legal advice, read academic lectures on streets, build barricades, ensure safety of the protests, put up prayer tents, clean up the occupied public spaces. They display almost a perfect case of horizontal forms of organization and leaderless resistance to the ruling elites. The lesson drawn from the failure of the “Orange revolution” tells people not to rely too much on politicians, not to put too much trust in them, like they did with Viktor Yushchenko, who failed them. That this lesson has been learnt is one reason why civil society is now so strong. 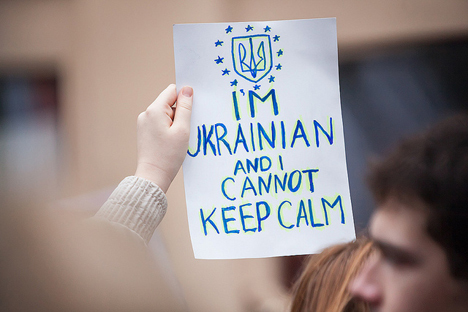 Today, it is the Ukrainian pro-European civil society that confers power on the political opposition. Otherwise, the political opposition would now have no power in the Ukrainian political sphere at all. The political opposition, mostly represented in the protests by three parliamentary political parties (UDAR, Bat’kivschnya and Svoboda), must comprehend the demands of civil society regarding the “rebooting” of Ukraine, and it should offer civil society a very clear plan of such an overhaul. A conciliatory deal struck between the opposition and the ruling elites would not satisfy Ukrainian civil society, and if civil society sees that the opposition is simply using hundreds of thousands of protesters to secure its own bargaining power, it will withdraw its support. It is worth noting that, according to the latest public opinion poll by the Kyiv International Institute of Sociology, only 5.4 per cent of the protesters were mobilized by the opposition parties; the rest were driven by their own conscience. 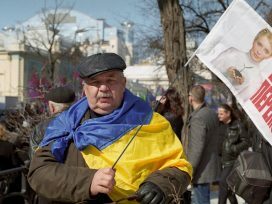 Even if the pro-European protesters are ready to give the opposition a chance at early or regular elections, civil society needs solid guarantees that Ukraine will be “rebooted” and that the people will have a strong say in the process of Ukraine’s development after the opposition – sooner or later – takes power. In a new Ukraine, power should be decentralized and parliamentary democracy re-established; civil society itself will need to influence politics and the economy through a genuinely independent media, efficient social councils, community-based initiatives, influential NGOs and vibrant trade unions, among others. This is why the opposition must offer a coherent and well-defined strategy as to how exactly it is going to structure the Ukrainian state in political, social, economic, cultural and intellectual terms. Because an increasingly self-aware civil society is not interested in simply changing the name of president. The pro-European protesters on the streets of Ukrainian cities are not wasting their time – let alone their careers, health and lives – for a political messiah. They are the messiah for whom they themselves have been waiting for more than 20 years. They just need the kind of political representation that understands their message and makes it a reality.